Faulkner's "An Error in Chemistry," on screen. "An Error in Chemistry" (1954) is an episode of Climax! adapted from a 1946 EQMM story by William Faulkner (one of his stories with lawyer Gavin Stevens collected in Knight's Gambit). Edmond O'Brien is a carnival huckster who readily confesses to killing his wife; also featured is Lon Chaney Jr.
Journal issue, law and gender in 19C England. 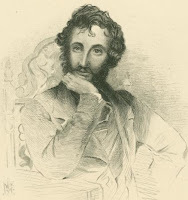 The latest issue of Nineteenth-Century Gender Studies focuses on law and gender in nineteenth-century England, including articles on Wilkie Collins's The Law and the Lady (1875) as well as Mary Elizabeth Braddon and Edward Bulwer Lytton. Dirda on Ross Thomas, Robert L. Fish. In this piece for American Scholar, Michael Dirda goes on a jaunt to Frederick (MD)'s Wonder Book & Video, praising the skill of Ross Thomas's The Fools in Town Are on Our Side (1971) and the sense of humor of Robert L. Fish along the way. The Lodger redux: Man in the Attic (1953). Following up on yesterday's Lodger post, the Internet Archive offers a 1953 version: Man in the Attic, with Jack Palance. The New York Times reviewer called it a "trashy, unimaginative shellacking of an original masterpiece," although Palance himself received praise. New score for Hitchcock's The Lodger. Today Silva Screen releases Nitin Sawhney's new score to Alfred Hitchcock's The Lodger (1926; based on the book by Marie Belloc Lowndes), in which a mysterious boarder is suspected to be a serial killer at large in London. Auction results, Poe Mummy story; Conan Doyle. • Arthur Conan Doyle, The Adventures of Sherlock Holmes. Illust. 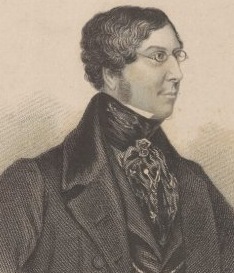 Sidney Paget. 1st ed. London: George Newnes, 1892. $1500. • Edgar Allan Poe, "Some Words with a Mummy," "Valley of Unrest," and "The City in the Sea," April 1845. $313. • William Faulkner, Soldiers' Pay. 1st ed. New York: Boni & Liveright, 1926. $11,875. Faulkner's first novel, with a World War I subject. • Delightful 1969 illustration by Charles Addams of Wednesday Addams metamorphosing into a werewolf while reading The Werewolf of Paris. $4000. • "Get into Books" illustration from 1983 by Sandra Boynton. $4000. • "Sing Out for Books" illustration from 1965 by Hilary Knight (known as the illustrator of the Eloise series by Kay Thompson). $875. The Public Domain Review features, via the Internet Archive, a 1927 Fox newsreel interview with Arthur Conan Doyle, in which he discusses the genesis of Sherlock Holmes, letters he receives about Holmes, and his interest in spiritualism. Hear excerpts from July 10th Nancy Drew panel. • Leona Fisher (Georgetown University) on Mildred Wirt Benson and her often difficult relationship with the Stratemeyer Syndicate. • Ann Hudak (curator, Nancy Drew & Friends exhibition, U-MD) reads a hilarious quote regarding the "dangers" of the Stratemeyer Syndicate. • Kathy Harig (Mystery Loves Company, Oxford, MD) on Chassie West's involvement with the series. 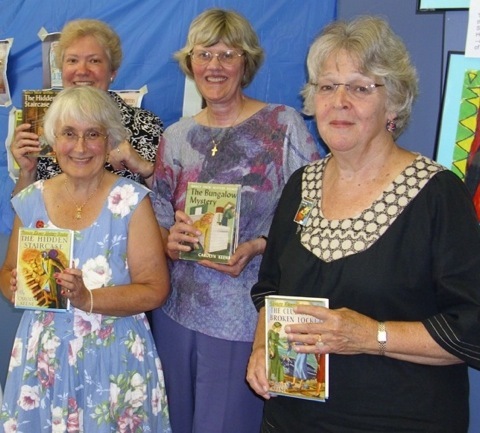 • The panelists discuss the reactions of librarians and the public to the Nancy Drew series. Mr. District Attorney in popular culture. Long before Law & Order, there was Mr. District Attorney. In "The Pastiche Prosecutor: A Speculative Introduction to Mr. District Attorney" (Green Bag 15.3 : 303-38), Ross E. Davies (School of Law, George Mason University) discusses this crime-fighting pioneer inspired by New York prosecutor (later governor and presidential candidate) Thomas E. Dewey and featured in radio, television, and film series as well as comic books. The article includes a sample (with illustrations) of "Smashing the Taxicab Racket" from Mr. District Attorney on the Job (1941). Today's Nancy Drew panel, door prizes, and Mildred Wirt Benson. appropriate. It's on "Derring-Do and Nancy Drew Us In" (on the history and enduring appeal of this girl sleuth, with George-town's Leona Fisher; Mystery Loves Company's Kathy Harig; and University of Maryland-College Park's Ann Hudak, curator of the "Nancy Drew and Friends" exhibition) and takes place on the birthday of Mildred Wirt Benson (1905–2002), who wrote the first seven Nancy Drew books as well as numerous other girls' series books. Kathy Harig promises some Nancy Drew door prizes for some lucky attendees. My events page is here. The mysteries of G. W. M. Reynolds. In this podcast, BBC Radio 3 discusses the often hardscrabble life of G. W. M. Reynolds (1814–79), whose serial The Mysteries of London (1844–56) featuring the seamy side of the city was wildly popular, but he was decidedly unpopular with Dickens for his appropriation of Mr. Pickwick. Stephen Knight examines Reynolds's work in the recent Mysteries of the Cities. July 10 panel on Nancy Drew. A reminder that I'll be moderating a panel on Tuesday, July 10, at the American Women Writers National Museum in Washington, DC: "Derring-Do and Nancy Drew Us In" (on the history and enduring appeal of this girl sleuth, with Georgetown's Leona Fisher; Mystery Loves Company's Kathy Harig; and University of Maryland-College Park's Ann Hudak, curator of the "Nancy Drew and Friends" exhibition). My events page is here. Update. Kathy Harig promises some Nancy Drew door prizes for some lucky attendees. The return of Hughes's The Expendable Man. 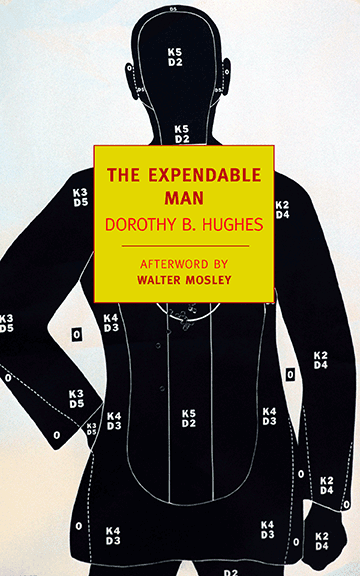 Today marks the reissue of Dorothy B. Hughes's Edgar-nominated The Expendable Man (1963) by New York Review of Books Classics; this edition has an afterword by Walter Mosley. In Crime & Mystery, H. R. F. Keating called the book, which centers on the death of a female hitchhiker, "one of the great trick novels of crime fiction." Anthony Boucher thought it "a splendid novel." Peggy Bacon: Artist, mystery writer. The exhibition "Six Degrees of Peggy Bacon" at the Smithsonian's Donald W. Reynolds Center for American Art and Portraiture (on view until Nov. 4, but some materials are posted online) shows the artistic work and various connections of Bacon (1895–1987) with Diego Rivera, Alfred Stieglitz, Andrew Wyeth, and others, but also mentions that she was an Edgar nominee for The Inward Eye (1952, aka Lady Marked for Murder; adapted for Robert Montgomery Presents, 1952). Her illustration work includes The Nameless Cat (1954) by Richard and Frances Lockridge.